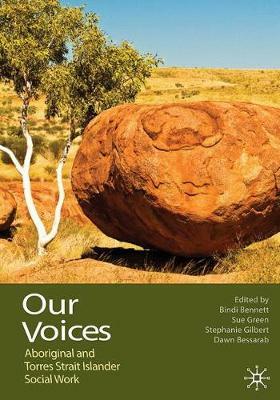 Our Voices: Aboriginal and Torres Strait Islander Social Work is a groundbreaking collection of writings from Aboriginal and Torres Strait Islander and non-Indigenous Australian social work educators and students. Through the exploration of a number of important contemporary social work practice issues, including cultural supervision, working with communities, understanding trauma, collaboration and relationship building and narrative practice, this book provides valuable insights into how social work practice can be developed, taught and practised in ways that are culturally safe and competent. It offers the collective voice of Aboriginal and Torres Strait Islander and allied colleagues as a foundation for creating the conditions of possibility that will aid in the transformation of Australian social work into a field of work that honours its ethical and moral aims, and serves the best interests of all.